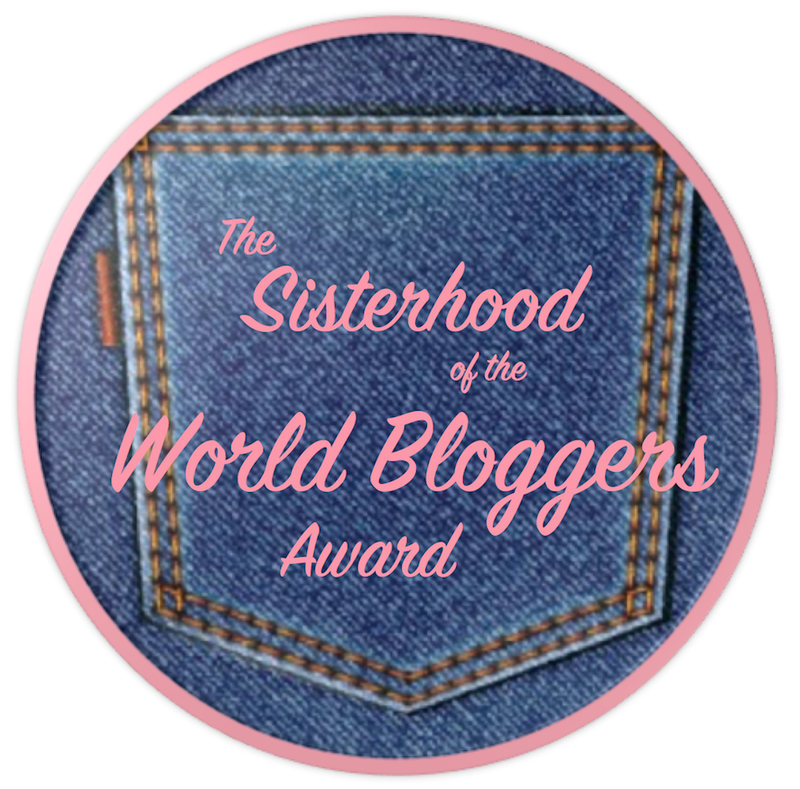 Embrace The Light Embrace the Light: The Sisterhood of the World Bloggers Award! Thank you sooo much to the lovely Constance from Conk's Canister for nominating us for the Sisterhood of the World Bloggers Award! Check out her beautiful blog and say hi for us! 1. What is your favourite song/band at the moment? Kimmy: My favourite song at the moment is Bright by Echosmith, they're a super talented band and this song is really beautiful. Makes me smile! 2. What is your favourite kind of blog post to write? Ayah: Windswept and the mac review are defo my favorite ones! 3. What is the story of your first kiss? Kimmy: London Waterloo train station. It was short and sweet. 'nuff said. Ayah: I had my first Hershey's kiss when I was 5 and omg it was amazing! 4. Your biggest regret and proudest moment? Kimmy: I reeeaally regret on giving up so much extra-curricular stuff when I was younger, like dancing or martial arts or music- I used to get scared and so I'd give it up, I just wish I'd pushed through that! My proudest moment was probably getting onto my dream course at my favourite University. 5. What is the one make-up product you can't stop buying? Kimmy: I love a bright, sparkly, shiney nail varnish. Ayah: Mac studio fix foundation ( I actually CAN'T live without it) BUT i'm still looking for the perfect lipstick! HELP ME?! 6. What is your clothing staple for summer? Kimmy: You either love 'em or you hate 'em. But I have to admit I'm quite the fan of flip flops when camping or just wandering around the village, They're so cheap, they're comfy and they're perfect to shove on when you're running after the ice cream van! Ayah: A short pastel colored summer dress! So obsessed with it..
7. What do you do to find inspiration? Ayah: Dancing ballet, modern, hip hop, and contemporary are definitely one of the main inspiration factors for me. Also singing and acting in films make feel very adventurous and in the zone. 8. What do you do during "that time of the month" to make yourself feel better? Kimmy: CHOCOLATE. Dark chocolate or a high cocoa bar can actually give you that happy feeling! Science! Aside from that it's paracetamol, a hot water bottle and a good film with loved ones. Ayah: Eat a lot (and i mean A LOT) of ice cream! and ofcourse, chilling with my 2 year-old nephew and 2 months old niece are two of my fav thingss that make me so happy! 9. Do a short and sweet "What's in my bag"? Kimmy: Notebook, 5 pens of assorted styles, patterns and colours, a tablet for lectures, earphones, keys, purse, tissues, a random crayon, jewellery I took off once and forgot to take out my bag, more tissues, medicine, more pens, a variety of snacky food, loose change that I can never be bothered to put in my purse, my diary, lipbalm, about 10,000 receipts, a pocket mirror and a charm my sister made for me. We started blogging after a conversation about how much we love fashion, the arts and photography and how we'd love to see something that brings it all together. And then we realised- why not us? Ayah is definitely the expert in all things fashion and make up and I prefer the more technical side and it works perfectly. 1. What is something you can't leave the house without? 2. Tell us one of your happiest moments? 3. What's the best play/film you're ever seen? 4. As a kid, what did you want to be when you were older? 5. What is your favourite style tip? 6. Do you have a favourite pair of shoes? 7. What's the best piece of advice anyone has ever given you? 8. Your favourite foodie treat? 10. What are your hopes for the next year? Comment below and link to your post and we will totally check it out!! Sorry we couldn't tag everyonee! Let us know what your answers to the questions would be!! We'd love to hear it!! This is a blog designed to celebrate fashion, make-up and all things creative, empowering you to love who you are and have fun with your style.